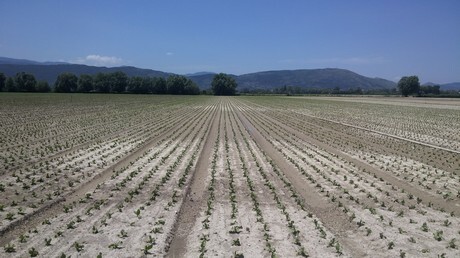 Due to the heavy rain of the past few days, Fucino producers haven't been able to sow anything, therefore carrot and onion quantities will be very low in June. This of course will have repercussion on the numerous businesses focusing on these crops. "The heavy rain is causing delays in the Fucino area. The soil is soaked, so you can't even set foot in the fields. We usually sow spring and summer carrots this time of year, but everything's been compromised. Onions destined to the domestic market won't probably even be sown," explained Domenico Fidanza, Councillor for Agriculture at the Celano municipality. Unfortunately, it doesn't seem like the situation is going to improve, as another weather front will hit Abruzzo over the next few days, bringing more rain. "It probably won't be possible to access the fields for another 20 days, provided it stops raining. Harvesting in June will not be possible, affecting hundreds of local businesses. In addition, we must stress that Fucino is not equipped with reservoirs to collect all this water, so it will go to waste and we won't be able to use it in case of summer drought."